If you're a fan of the Beatles or simply of John Lennon, this inspirational quote decorative vinyl is perfect for showing visitors to your home! 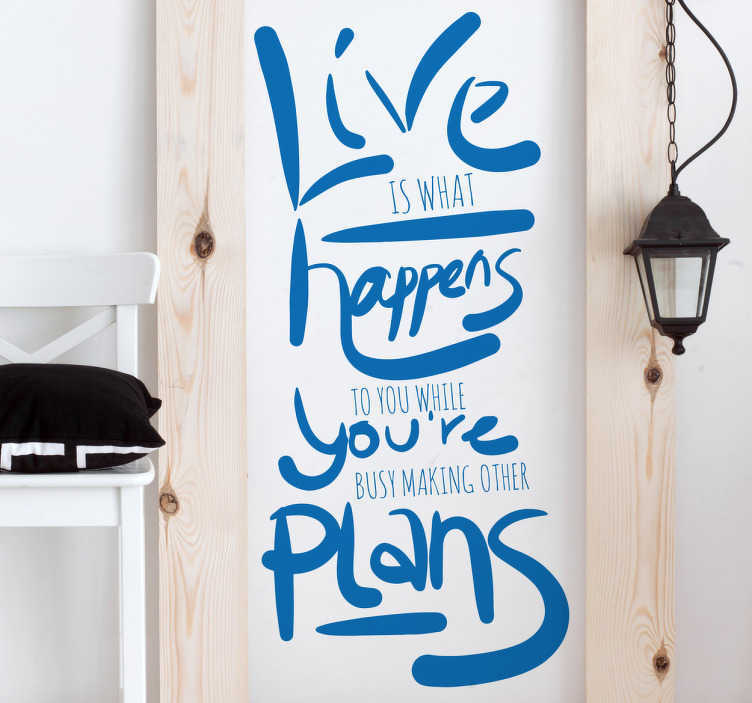 Featuring the text "Life is what happens when you're busy making other plans", this wall sticker reminds us to seize the moment we are in and to enjoy life to its fullest. Made of a high quality material and available in a variety of sizes!